I've had a little haitus from social media and blogging this last week or so. After a few hectic months, I took some well deserved time off to catch up with friends and relax. I think sometimes in this heavily digitally-oriented society, it's good to switch your phone off, and connect with people face-to-face. Even though I love technology, I can be quite against its principles sometimes, and a break away is always good to freshen the mind and focus on the important things in life. Hmmm getting a little deep now... Haha! 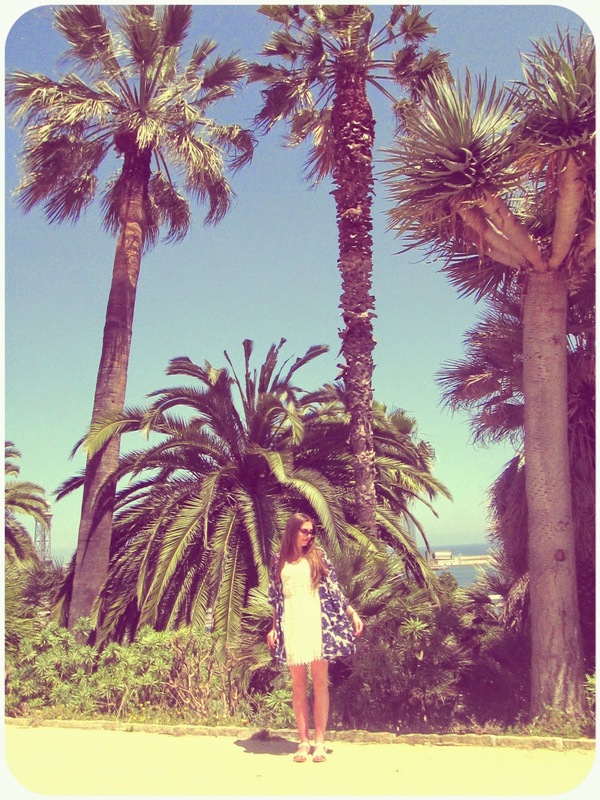 Anyways, you might recognise this backdrop from my last post as the Costa i Llobera Gardens in Barcelona. I'm desperate to return to the tranquil and tropical area, and I'm definitely missing the scorching sunshine. Scotland just does not compare. I'm wearing a lovely lace dress that I picked up from H&M before I went on holiday. I'm constantly worried H&M clothing will shrink in the wash though, (I've had too many heart breaking post washing machine moments) but was so happy when this sweet number stayed intact - Yay! Gorgeous photos, it looks so lovely and sunny! Although it must have been positively boiling! barcelona looks absolutely gorgeous and so do you! that white dress fits in perfectly with the scenery. Oh I've never experienced any of my h&m clothes shrinking in the wash, maybe I've just been lucky! The dress is so pretty! oh you are really in paradise! so jelous!! That dress is SO cute! You're really pretty! I love your blog! 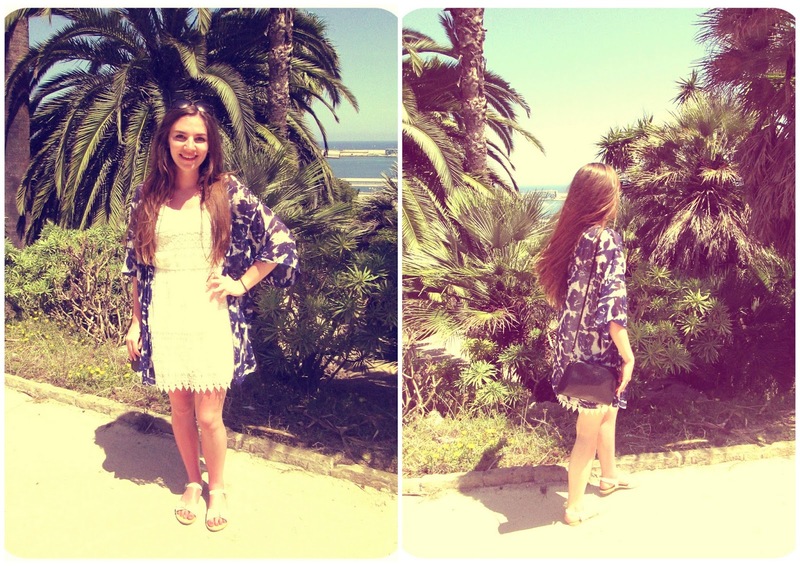 I like all in your outfit < 3 Kimono and dress are the best ! love this outfit, you look like your having a wonderful time! I see that your 22 and a fashion student! I am also except in NYC. How do you like school so far? Everyone deserves a break! I love the detailing on your dress! Lovely dress, it's too cute. That looks brilliant! I love the idea of wearing white, but it always feels daft when it's so cold in the UK. Maybe I'll just have to head back to Barcelona for the excuse..
You're so pretty! I love your outfit! Check out my style if you get a chance! Ohh! You're so cute, thank you for the lovely comment! You look so pretty, I'm following you now. Hello Helen, you look good...and happy. Your blog is very lovely. I especially enjoyed the Barcelona photos, the scenery blew me away. Looks like a great place. Good job girl! Looks lovely and you look gorgeous! The pictures look amazing - I could definitely do with a little sun lately! London is a lot better than Scotland weather wise but it still seems to have been pretty gloomy and overcast lately. What a lovely lace dress, amazing pictures! thank you for visiting my blog, I'm following u via Bloglovin now! Love this white dress! So adorbs! 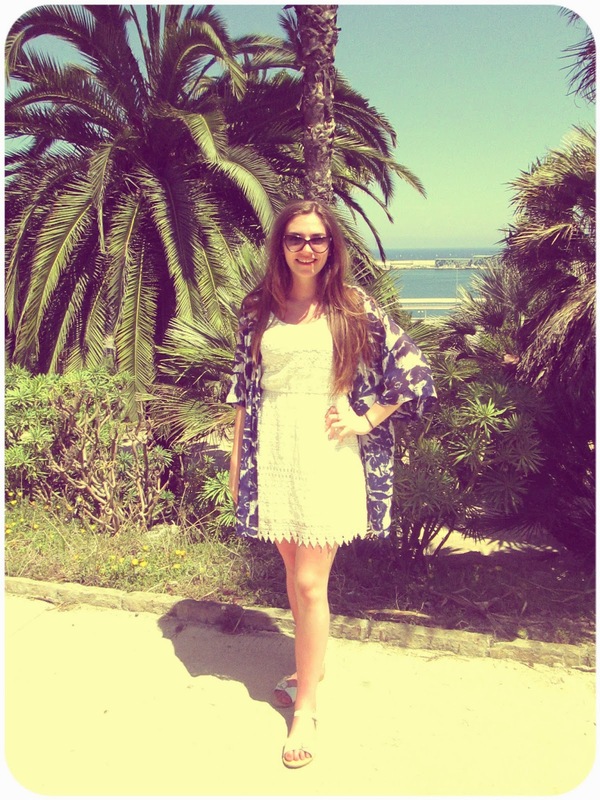 Love the outfit :) thanks for the follow over on my blog, I'm following you now too! Ooh, love your pretty blog! 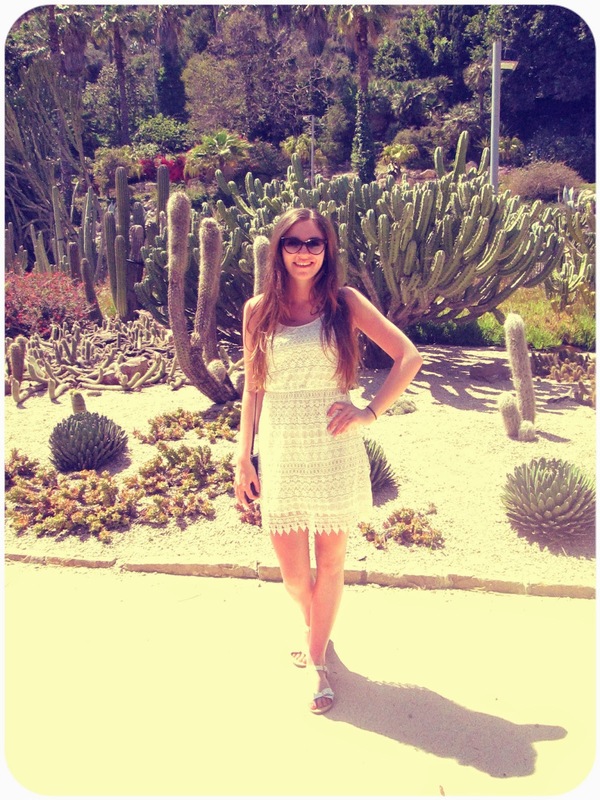 Lovely post, and i'm in love with the white dress! I hope you enjoyed your time away! I have to agree, switching off from the digital world can be so peaceful and well-needed! You look gorgeous, I love that lace dress + kimono combo :). Thanks for checking out my blog, I'm now following you back on bloglovin' and can't wait to see more of your stuff too! Beautiful dress :) I love it! Such a lovely dress!! <3 It looks like you had so much fun!! love your outfits and photos! Beautiful! It looks like you had a good time. I know what you mean when you just need to unplug for a few days. It happens to me after a crazy couple of weeks during the semester. I may have to do it for myself in a couple weeks despite it being summer. Lovely dress and pics.. I want to go back to Barcelona soon! 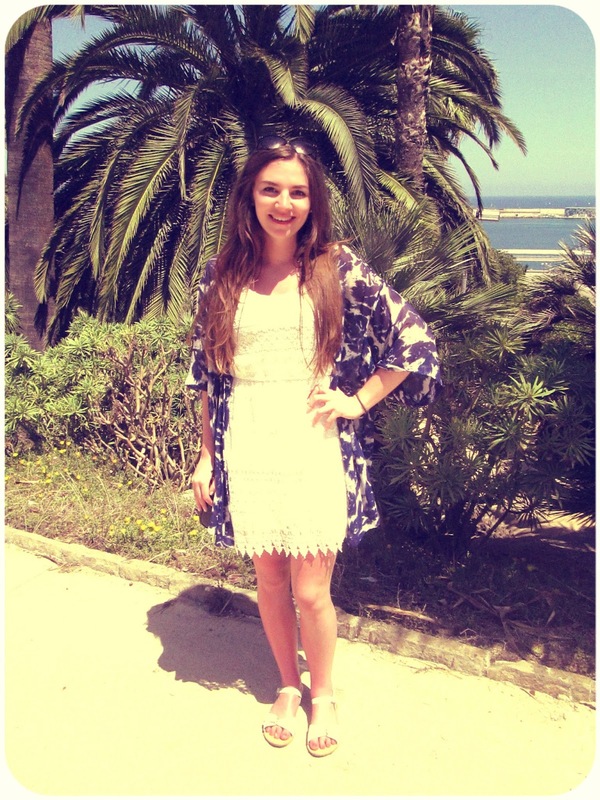 Love your crochet dress and that you wore it with a kimono! Ok, I want to be here. Like, now. Darling dress! Great pictures and that dress is so gorgeous! I love your blog, too ! Such a pretty outfit - that lace dress is perfection! Hi Helen! Thank you for stopping by and leaving such a lovely comment on my blog! I like your lace dress! And your hair looks so gorgeous! Please keep in touch and share the love for blogging! TRAVEL | FOOD | LIFESTYLE and about my FASHION line. This is such a pretty dress and those pictures are amazing. Such a pretty scenery! Cute look! Enjoy your holiday! 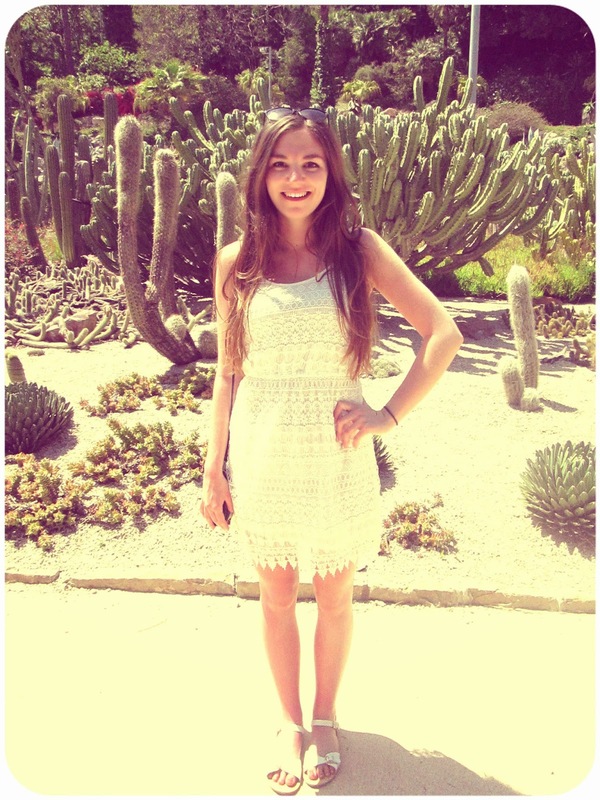 This crochet dress is quintessentially summer <3 And you look lovely! Gorgeous photos, I love that crochet dress! Good for you for taking time away from social media. I definitely feel you about that and try to stay away from phones when hanging with friends. Sometimes it is hard because people can practically be glued to it and then you feel awkward without it. But I do love spending time with friends who keep their phones out of sight when I'm with them. Anyway, lovely look! 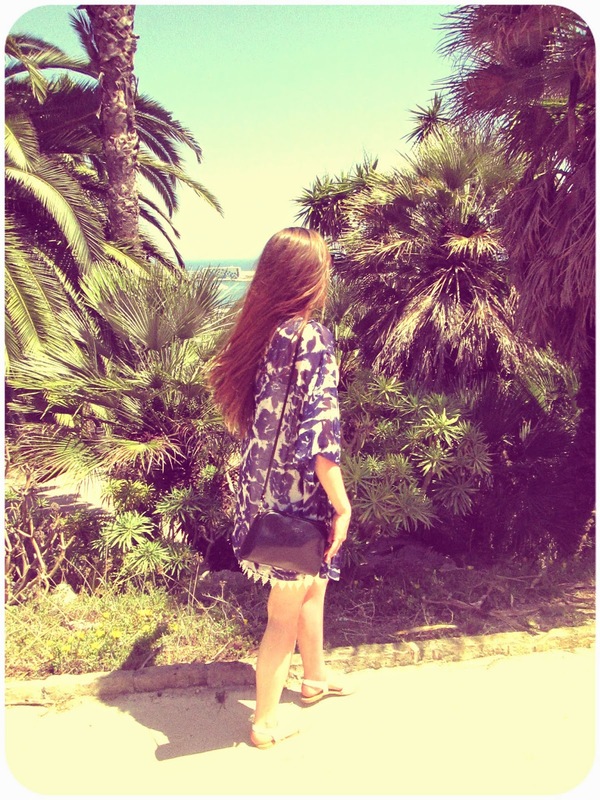 Always love dresses like that and pairing it with that kimono is perfect! I just bought a very similar dress yesterday and love it! Crochet pieces are perfect for the summer. I love how you paired yours with that jacket. Great photo scenery too!! This outfit is so beautiful. I absolutely love it! Thanks for the lovely comment on my blog and the follow. I am following you back now!! I love that dress! It's so beautiful with the lace and perfect for warm, sunny weather! Haha, I totally understand the importance of actually turning off the phone and stop being sucked up in the virtual world! 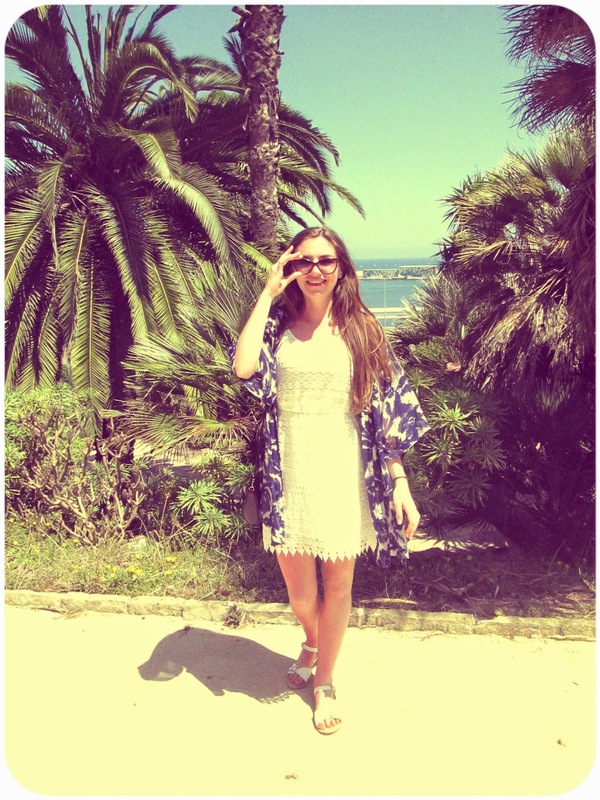 I am in love with that gorgeous lace dress- it looks beautiful with the blue kimono!